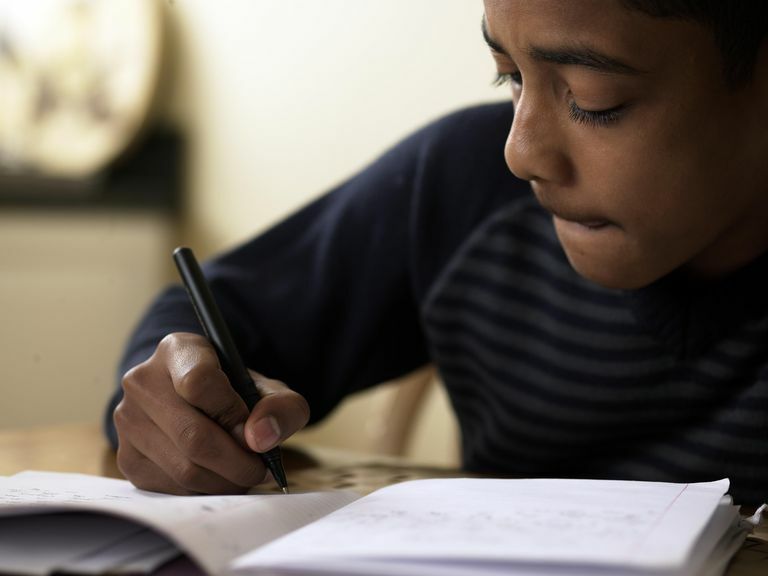 A learning disability in expressive writing affects a person's ability to write and organize thoughts on paper using appropriate detail, sequence, sentence structure, and literary form. People with learning disabilities in expressive writing skills have significant difficulty completing schoolwork involving writing and using writing in everyday situations. They may not have difficulty with producing letters on paper, but they cannot use words to express organized and complete thoughts in writing. They may also have difficulty with word usage. Learning disabilities in expressive writing skills likely involve difficulty with expressive language processing and visual reasoning skill centers of the brain. These disabilities are believed to be hereditary or caused by developmental problems. They are not solely the result of problems with expressive or receptive language, visual, or hearing problems, fine motor muscle coordination, or learning disabilities in basic writing skills, but they can be complicated by these conditions. Students with learning disabilities may be able to generate content, create or organize the structure of their writing, plan for how to write a composition, have difficulty revising the text, or may have problems with the mechanical and physical aspects of writing. Diagnostic writing tests can be used to determine the types of problems affecting the learner's writing. Through observations, analyzing student work, cognitive assessment, and possibly language assessment, educators can help the IEP team develop an appropriate individualized education program. Evaluation can provide information to help educators develop effective strategies. Typical strategies focus on developing pre-writing strategies to organize thoughts, using graphic organizers, mediated writing, and use of writing models. By spending time planning before they write, they can use these products as external memory they can call upon when composing, freeing up working memory. Teachers or speech-language pathologists may also work on language-based aspects of writing to help learners build comprehension and spoken expression. People with learning disabilities in expressive writing are at least as intelligent as their peers. They may appear lazy but are just overwhelmed by writing tasks. They are often self-conscious about their disability and avoid writing. Uninformed teachers, students, and other adults may see them as less capable when they are actually very capable and bright. Learning disabled students can be high achievers with the right specially designed instruction and accommodations. Some students understand much more than they are capable of expressing on paper, and others have receptive language disorders as well. If you believe you or your child has a learning disability in basic writing, contact your school principal or counselor for information on how to request an IEP team meeting to discuss a referral for assessment. For students in college and vocational programs, their school's advising office can assist with finding resources to improve their chances for success. What Are the Effects of Basic Writing Disabilities on Students? Which Skill Deficits Do Kids With Learning Disabilities in Math Have?